The European Union (EU) and Azerbaijan must focus on the expansion of agricultural trade volume, head of the EU Delegation to Azerbaijan Kestutis Jankauskas said at the final conference on the e-insurance project in Baku on November 3. He said that despite the EU is the main trade partner of Azerbaijan, the trade turnover volume in agricultural sector is low. "Export of agricultural products from Azerbaijan to the EU quadrupled in 2017 compared to 2012,” the ambassador said. “Nevertheless, I think that there is still great development potential in this sphere and we must continue to work in this area." 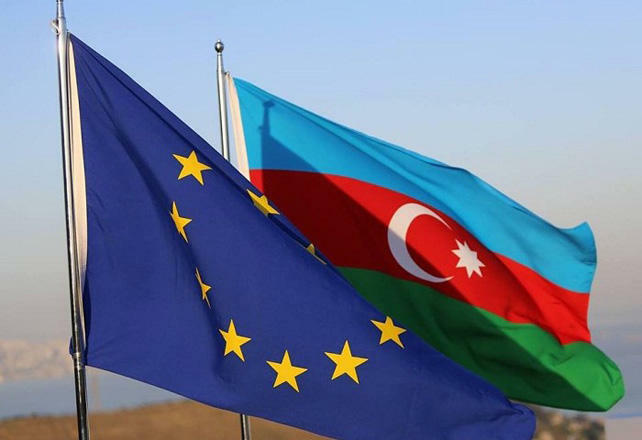 He said that the EU allocated 70 million euros to Azerbaijan for the development of agriculture and rural areas, which is 40 percent of the total funds allocated to the country. According to the Azerbaijani State Customs Committee, the trade turnover between Azerbaijan and the EU countries amounted to $5.03 billion in January-September 2017, $3.73 billion of which accounted for the export of Azerbaijani products to the EU countries.